Every morning, we bring your favourite newspaper to your bedroom free of charge. Wake-up call (upon request) and complimentary coffee served in your bedroom! Book online and get the bedroom you prefer. Choose among peaceful accommodation, top floor bedrooms, panoramic view over the sea and bedrooms with balcony. Book from our website and get a special Romagna-style Food & Wine Gift upon your arrival! Many travel sites charge extra fees for online bookings. Book from our website and enjoy the best available rate! Ambienthotels Panoramic is directly situated on the wide expanse of golden sand of Viserba di Rimini, a cosy seaside resort that boasts well-groomed bathing establishments, a large pedestrian precinct, trendy shops, lively outdoor bars and plenty of further modern services and facilities. 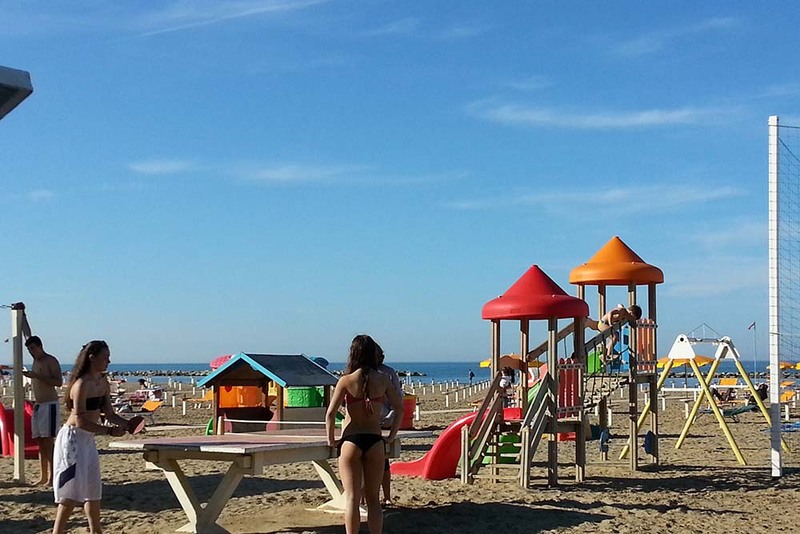 The 3 star hotel with beach in Rimini is the ideal place where to relax and to entertain your children during the summer season, the bathing establishment in front of the hotel is in fact equipped with nets and fields for beach sports and with baby club and animation for children. Moreover the sandy and shallow seabed is perfect for the children to play in complete safety even in water. Guests of our hotel will in fact enjoy an affiliated and serviced beach in Viserba, which includes entertainment, changing cabins and hot showers of the bathing establishment for free. For those choosing the all-inclusive stay at the Ambienthotels Panoramic also the service of beach umbrellas and sun beds on the beach is free. WOULD YOU LIKE TO STAY FOR A HOLIDAY OR FOR BUSINESS? for your holidays free of charge. I travel all over the world and this is now one of my favorite places to stay. The staff is amazing and the hotel is very nice and evokes a relaxed environment. The staff really seems to care and on the front desk is a sign that states "We Like People" and it could not be any more true. I asked for another blanket and before I finished the request it was on my bed! The hotel is about warmth and relaxation even when traveling for business. I plan on bringing my family next time. We stayed at the Panoramic hotel from 28/7 till 04/08 2018. We had a renovated room wich was nice. comfortable bed, only the pillows were a bit too flat in my opinion. The shower was a bit small. Every day fresh towels! The hotel is comfortable, the roof with the pool/bubble bath is simple but functional. Nice view though. The staff is very, very kind. You feel very welcome. The food is okay, buffet (more anti pasti like, fries, Bread etc) and you can chose two dishes on the side as well. 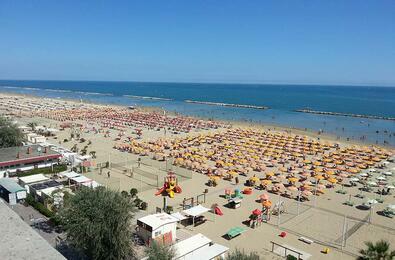 Viserba is a nice place for a holiday on the beach, a lot of families. 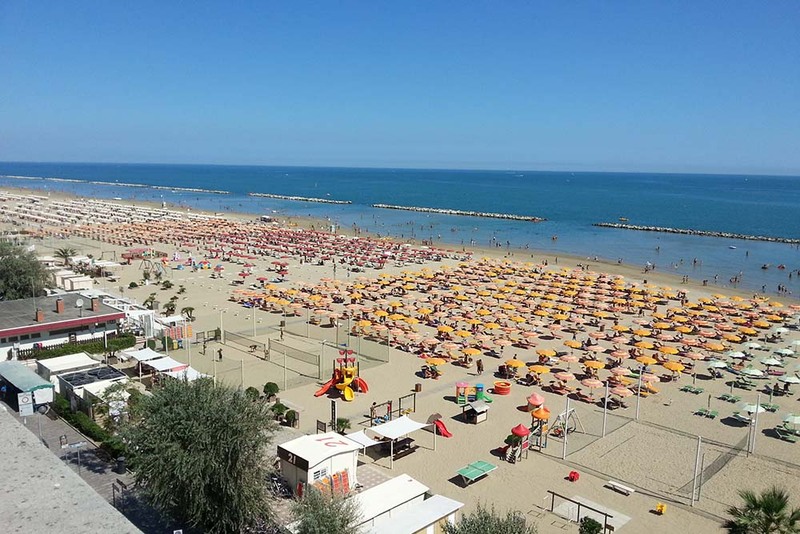 It’s touristy with a lot of people who want to sell you something but the beach is nice and you can visit different places like (the old centre of) rimini or San Marino etc. If you want to go to the beach, you have to rent a bed. The longer you stay the less you pay. It’s +\- 18 euro’s per day for two beds and an umbrella. Long story short; it’s a good price for a nice stay. Don’t expet something fancy, just comfortable, clean and descent. The friendly staff will make your stay also better! 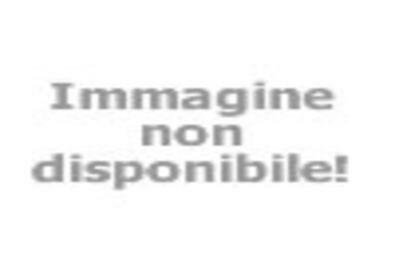 Ambient Hotels welcomes you in the Hotels of our Group!